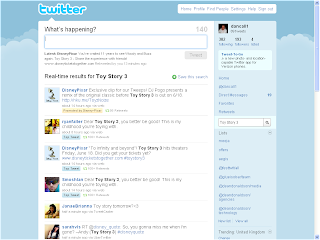 New today is Twitter promoted trends. 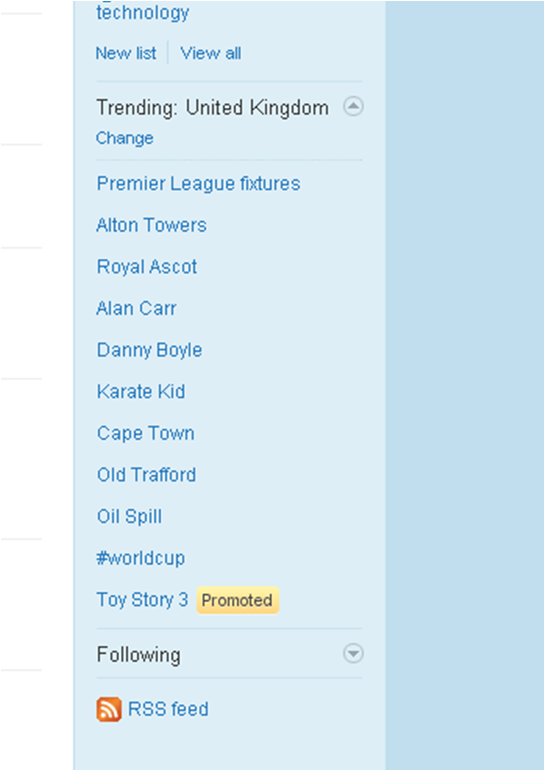 Disney Pixar have bought a position at the bottom of the trends table for Toy Story (with the word 'Promoted' clearly shown next to it). 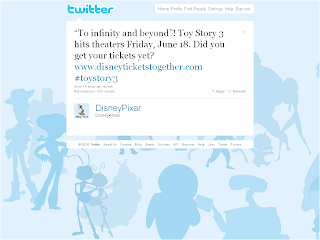 Click on the term and you see search results for Toy Story, with Disney Pixar's promoted tweet as the top result. 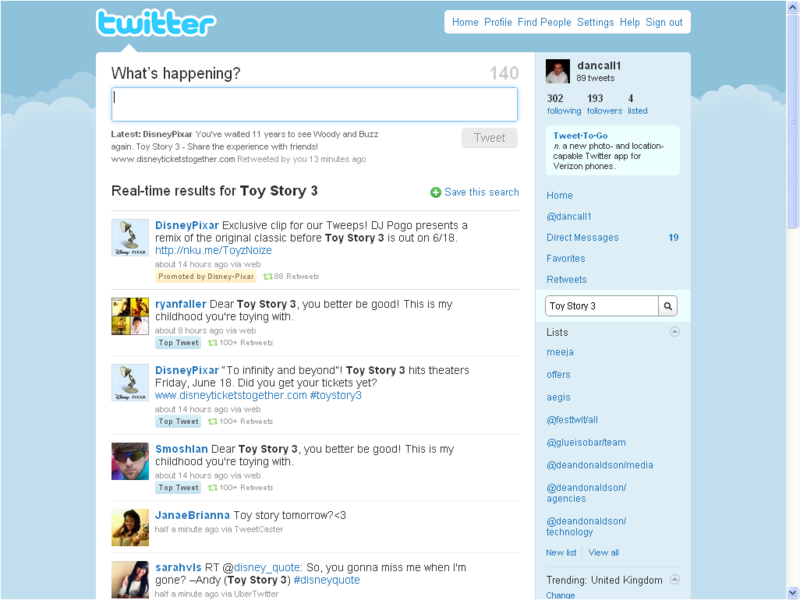 I like this - not intrusive, and something that (I imagine) would be of genuine interest to many twitter users. 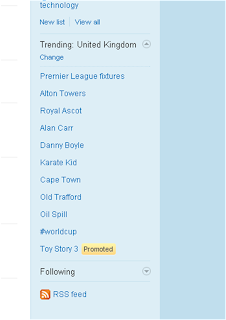 It's likely to be more effective than the general promoted tweets, as they appear in the trend page for all users. Official twitter info on Promoted Trends here. Originally spotted by Neil Perkin. "I am 12 and what is this?"